Our day on Whitehaven Beach starts with a 50-metre walk from our tent, across the soft white silica sand to the warm turquoise ocean where we snorkel on the little coral reef in our search for Nemo and swim with turtles. After lunch, playful whales frolic beside our kayak. At sunset we sit on the beach, sip our drinks and watch the tide go out. We are camping on Whitehaven Beach on Whitsunday Island, one of a few islands scattered in the Whitsunday archipelago. The island is a national park and is in the heart of the Great Barrier Reef. Voted as one of the best beaches in the world, it is a mecca for beach lovers, nature lovers, snorkelers, walkers and kayakers. Our camp is nestled behind the beach in the shade of the eucalypt woodlands. Rock wallabies, lace monitors and kookaburras are regular visitors. 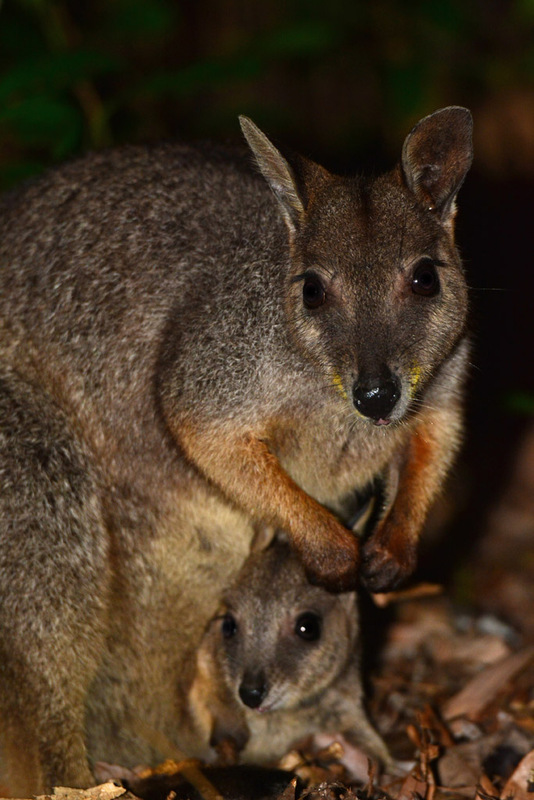 A rock wallaby and her baby come right up to our tent every night while we have our dinner. The only sounds at night are the splashing waves and the poignant cries of curlews on the beach in pursuit of crabs. 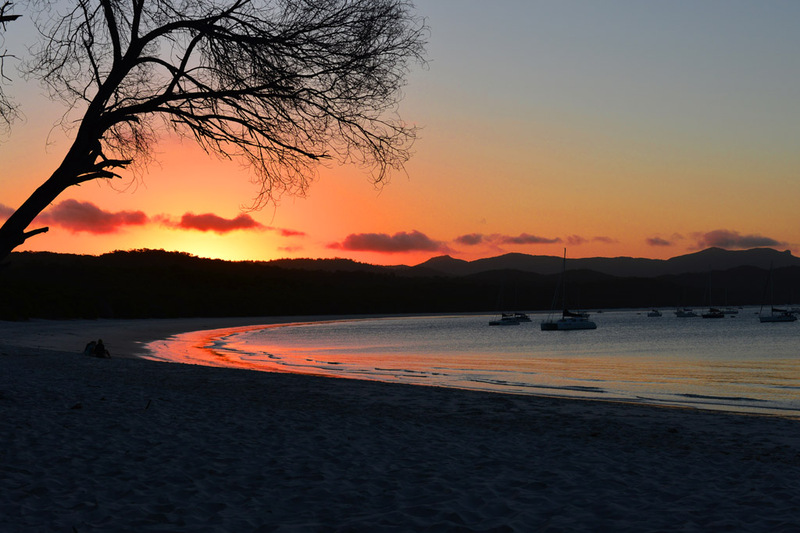 Whitehaven Beach is one of seven beaches that camping is available on Whitsunday Island. It is touristy and being a popular destination for day trippers it is very busy during the day. However, this unspoiled tropical island is worth giving up a bit of seclusion for, and once the day trippers go home it feels like we have it all to ourselves. We hire a kayak from Airlie Beach for our stay. The archipelago is safe for beginners as kayakers can navigate around the islands and explore different beaches while staying close to the islands without having to go out in the open ocean. Ray kayaking at Chalkies Beach. Whitehaven is in the background. 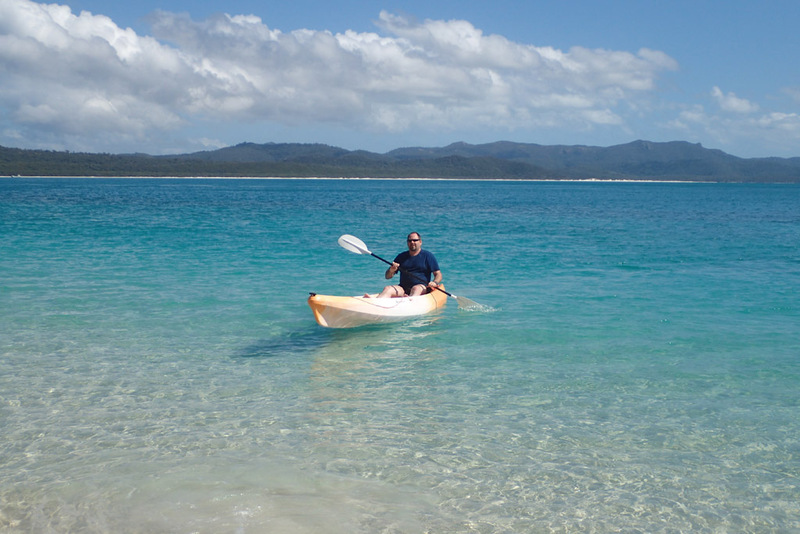 Kayaking across to Chalkies Beach on Haslewood Island, opposite Whitehaven takes us about 30 minutes. 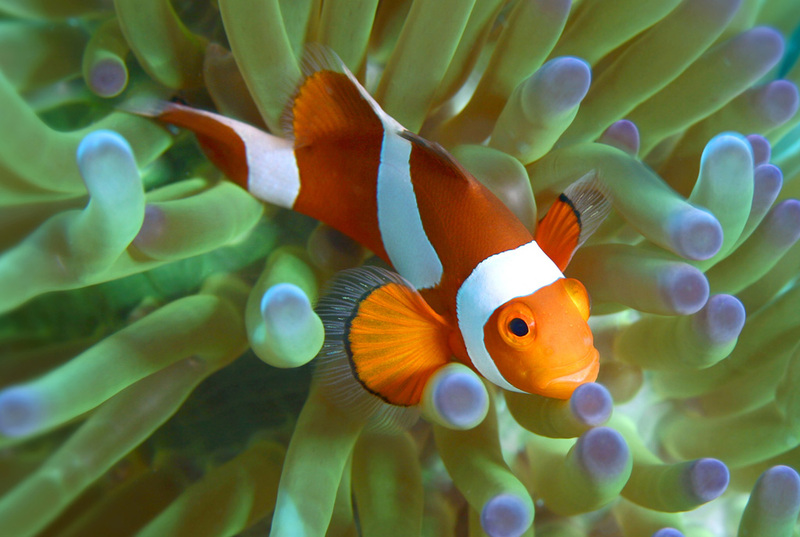 This is our favourite place for snorkeling and we find Nemo here. It is as pretty at Whitehaven, but without the crowds. 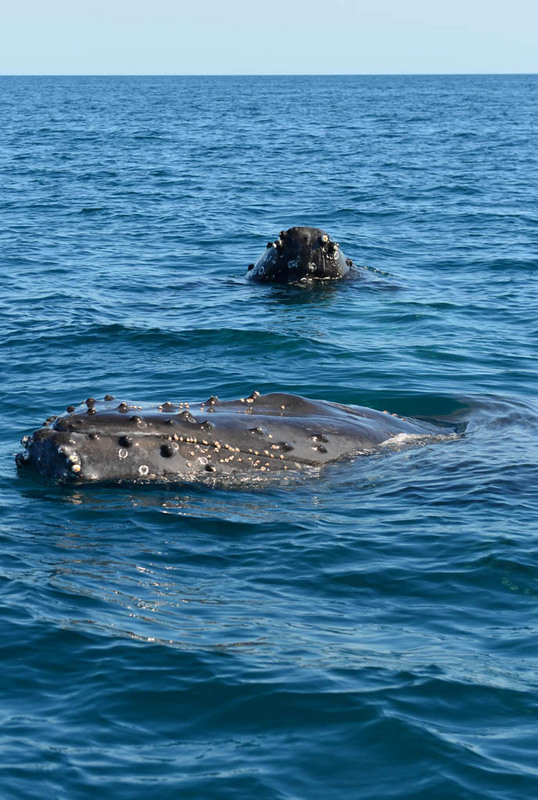 The highlight of our Whitsundays camping trip is kayaking in the afternoon; two whales swim close to our kayak! They play, show off, swim away, disappear, reappear, roll over and make eye contact with us. It’s like they know we are in a kayak and are very gentle. It’s a most amazing experience for us and the best part of our trip. From our camp the next morning we see whales breaching in front of Chalkies Beach. We kayak over there as fast as possible, but they leave before we get there. 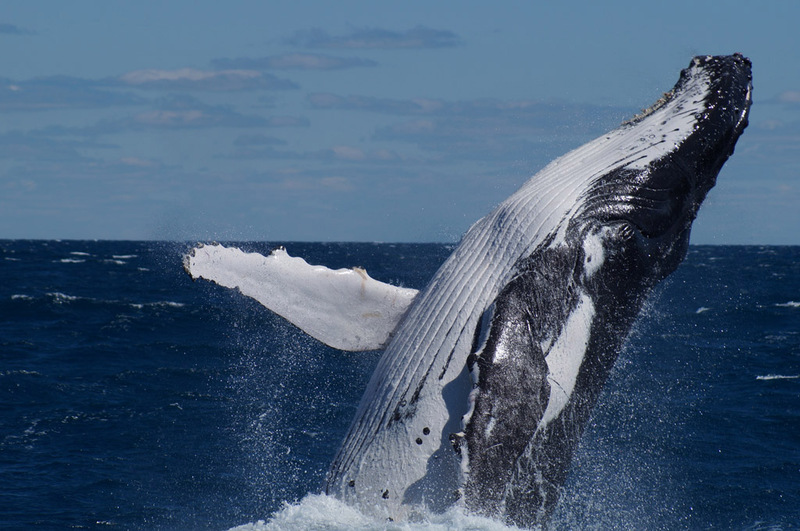 During our boat transfer back to Shute Harbour, we also see whales breaching. These sightings are a bonus for us and totally unexpected. 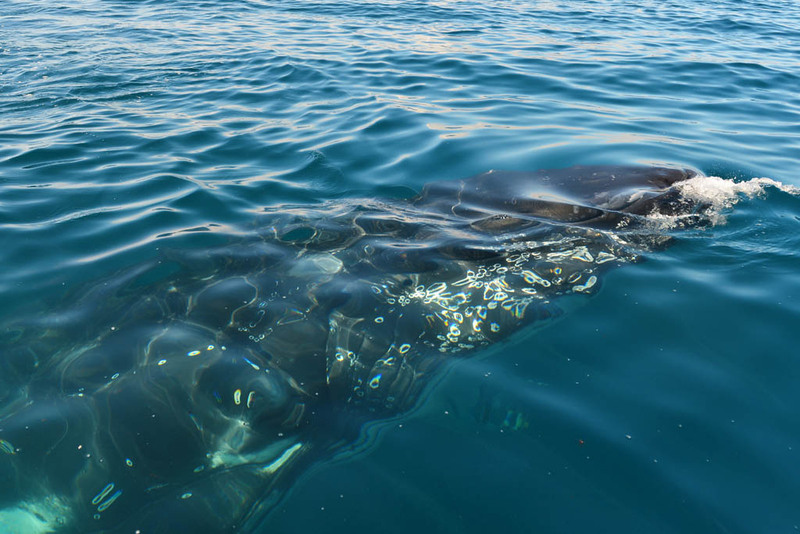 We learn that whale sightings are getting more common in the Whitsundays and if this is any indication they certainly are! They are so close we can almost touch them. Whitsunday Island is a bushwalker’s paradise. From easy to challenging, there is a walk for everyone. We walk the trails to Chance Bay, the lookout point on the northern end of the island and the Hill Inlet lookout. Each of these walks takes most of the day. The walk to Chance Bay is 3.6 km from our camp. 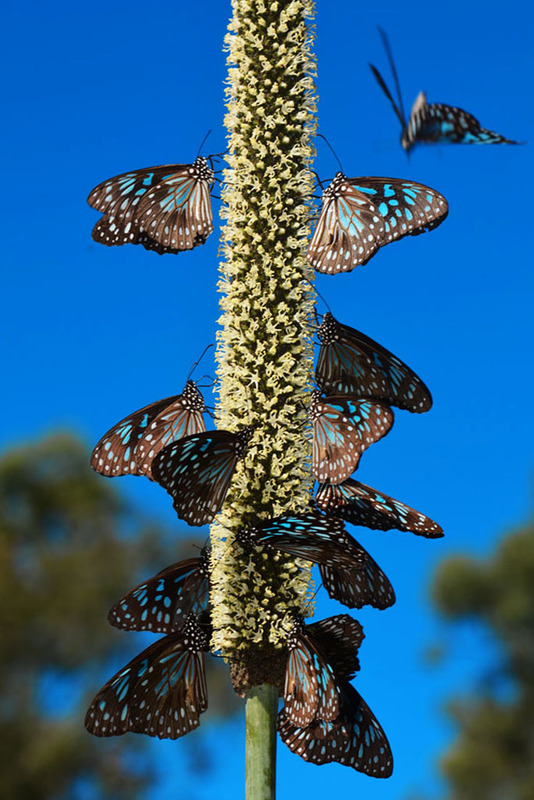 The bush walk meanders through forest, woodlands and hundreds of beautiful blue butterflies. We pack our lunch and spend a couple of hours relaxing and swimming in the secluded and crystal clear bay. From our camp, the walk to the lookout point on the northern end of Whitehaven Beach takes about 90 minutes to the bush track that turns off from the beach. What a better way to walk the 7 km than on the soft white silica sand and taking a dip in the inviting blue sea whenever we want to cool down. The Whitsundays is sheltered by The Great Barrier Reef and safe from dangerous currents and undertows. This walk isn’t in the brochures and not clearly marked. It’s about 500 metres before the inlet and tracks go up the sand dunes. Once off the beach, little piles of rocks mark the track, so you can’t get lost! It’s only about 10 minutes to the first lookout rock and 30 minutes to the top lookout. The first lookout has the most spectacular views. From here and about another 30 minutes the Hill Inlet Lookout can be accessed by crossing the inlet at low tide. The views of the swirling sands and the fusion of aqua coloured oceans are panoramic. The view of Whitehaven Beach from the lookout on the northern end of the beach. Across the inlet is the Hill Inlet lookout. In the mornings we snorkel at Chance Bay and Chalkies Beach. Though the corals are sparse and the marine life isn’t abundant, after much searching we find Nemo, colourful fish and some stingrays. 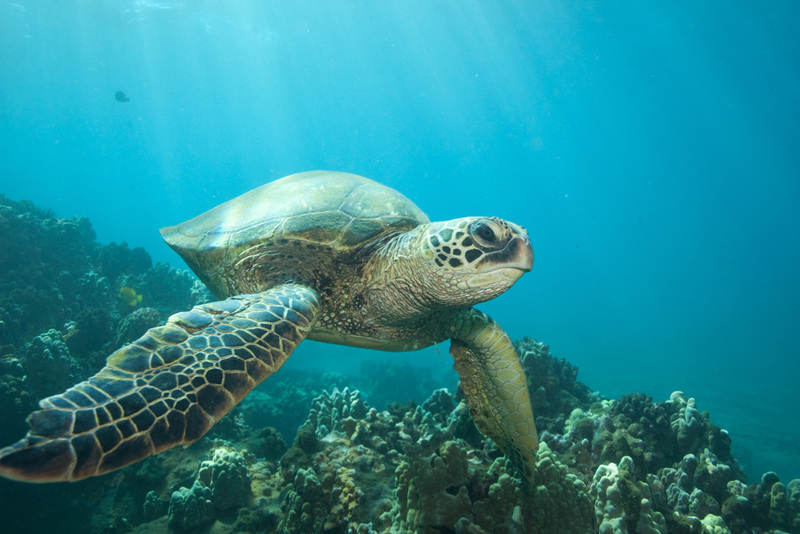 In the afternoons we snorkel in front of our camp and see turtles every day. The visibility can change quickly from clear to very cloudy, depending on the currents and the weather. During our stay, we did most of our snorkeling at Chalkies Beach as the water in front of the camp wasn’t clear. As the sun goes down over the islands we sit on the beach and enjoy a couple of drinks and the view. The crowds have long gone home and we have this paradise all to ourselves. 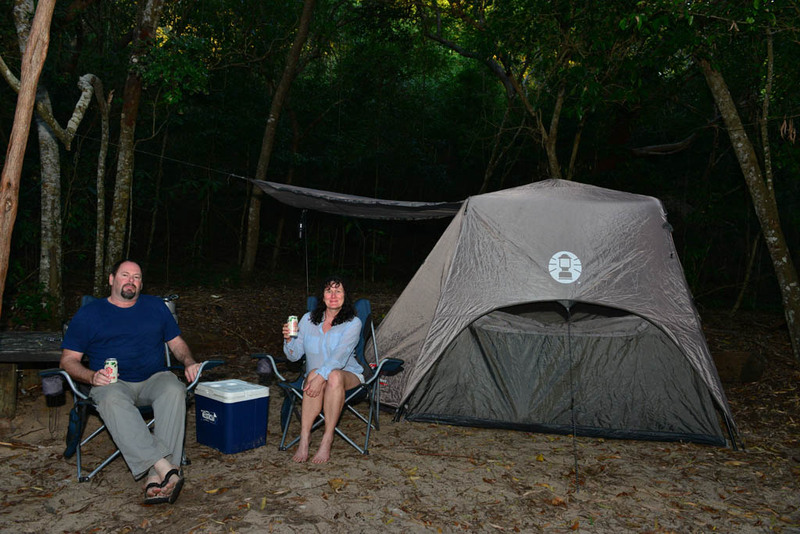 If the budget only allows for one splurge on the Whitsundays we think camping is it. For less than most day trips, campers can get an island transfer and camping permits. This includes the transfer of all camping equipment and drinking water. This is great value, especially if you stay for a few nights. 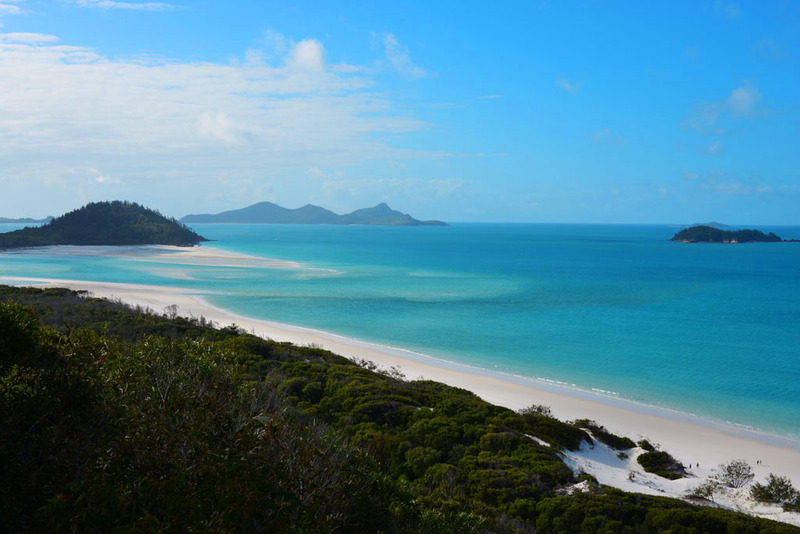 Camping on Whitehaven Beach or any of the other Whitsunday Islands is certainly something to put on the list. Island boat transfers are with Island transfers. Transfers to Whitehaven Beach are $155 per person return. Camping permits are $5.50 per day per person. Salty Dog Kayaking charges $50 per day for a double sit on top kayak. Whales check us out while kayaking. About an hours drive south of Airlie Beach is Cape Hillsborough National Park. If you want to see Kangaroos on the beach at sunrise, this is also not to be missed. Ray & Sue great work as always! 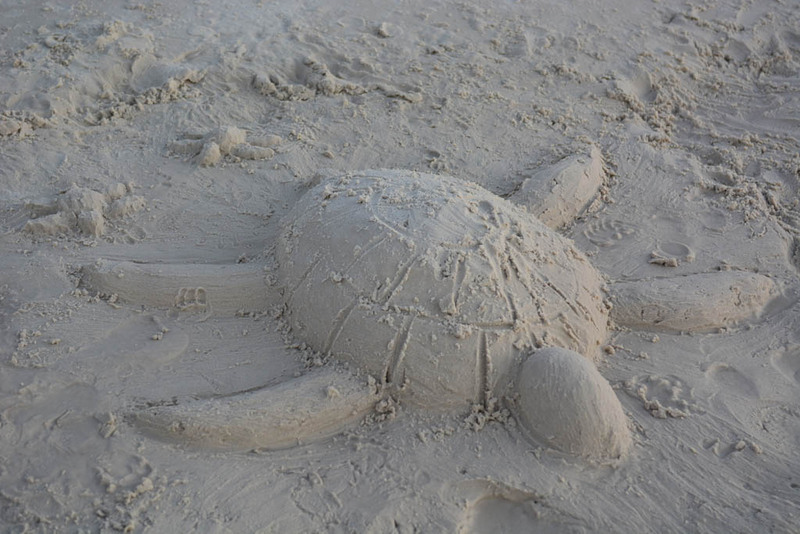 We are not beach people, but this is just stunning! Love the blog and the tips, we will pass it on to the beachy people we know. Thanks. Thanks Steve & Louis. It’s a really nice part of Australia. I love your detail and how you tell readers exactly how to do everything that you do. It would be a beautiful experience to camp near the Rock Wallabies, really in the wild. This would be a dream for me. It’s one of the many places to have on your list when you visit Australia Rehana! Thanks for your comments. Wow! Awesome work as always. Sounds like you got to explore something wonderful. We did a day trip a few years ago & never saw anything like this. We only got to spend about an hour on Whitehaven. Love the sound of Hook Islsnd too. Like you say why would you spend a day, if for the same price you could spend a couple. Hi Justin. Hook Island looked so beautiful. If we go back that’s where we will be spending a few days camping! Thanks for your comments, we appreciate them as always. I am now addicted to your site. I have just signed up for your travel blogs and look forward to more great photography tips. I love your wildlife articles the best, you are so passionate and it shows in your blogs and photos. 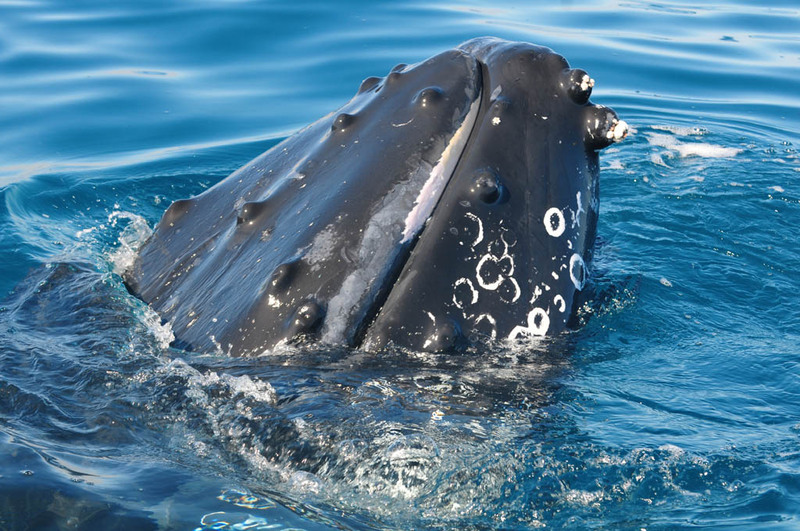 To click and see whales so close to your kayak must have been a most amazing experience. Would this be your most amazing wildlife encounter? Thanks for signing up to our blogs Karan. The whales so close to our kayak was an awesome experience. All the wildlife experiences are special, different and can’t be compared. It sure is up there with the best though! Omg omg omg. The luckiest people on earth! If only this post existed in 2014! We took a daytrip because we were worried about our renting camping car! I so regret not taking the risk! My biggest dream is to see a whale so close by! I will link your post in my post about Whitehaven beach! Thanks Dee! There’s nothing scary there! 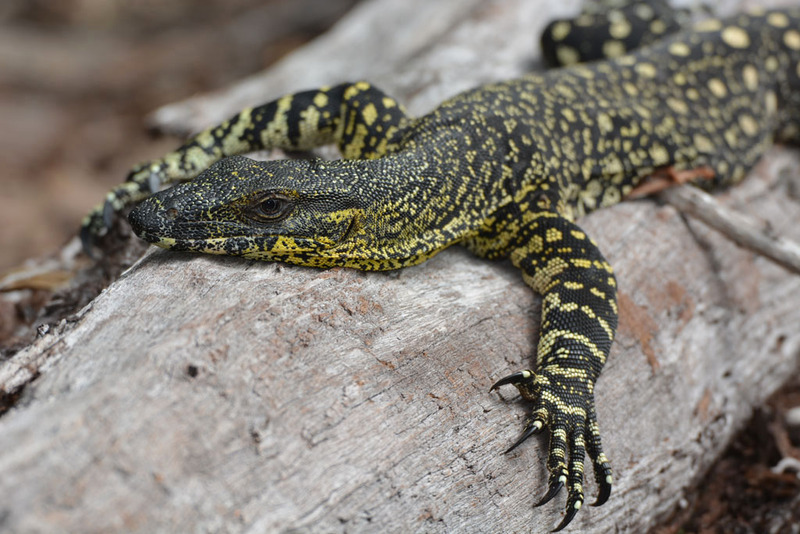 We had cute rock wallabies and goannas in our camp and didn’t even have any trouble with mosquitoes. To be on the safe side take insect repellent and a screened tent. Have a great trip in October. You will love it! just found your homepage and I am so happy about all these detailed informations. Planning my holiday juli 2018 Cairns-Brisbane these infos are very helpful. I also love to take nature fotos during my holiday. Nobody could yet tell me anything about the hike to chance bay. We want to go with cruise whitsunday for a daytrip to whithaven beach. now there is an additional hike to the northern Lookout and hike to chance bay. Do you think that`s a good idea to see more of the swirling sands or better just do the hill inlet walk and stay the rest of the day at the beach? Thanks for your comment and query. Ray and sue, What time of year were you at Whitehaven Beach? Love your blog!! AMAZING photos and such detailed descriptions of your adventures! Thank you. We are planning a camping trip to the Whitsundays, Magnetic Island, and Cape Hillsborough National Park in Mid to Late July this year. I am wondering about tent camping on Magnetic Island. Is that still possible. You have a picture of your tent in a beautiful location there but I can’t find information about such a tent site. Thanks in advance for any information you can provide.